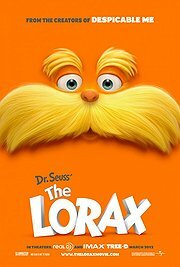 The Lorax is not a great film, nor is it the best adaptation of Dr. Seuss’s book that one might envision. It is, however, as gently entertaining as it is unapologetic in its stance; a colourful, silly, melancholy, hopeful, stinging and, ultimately, accessible film. Read my review of The Lorax at The Front Page Online.